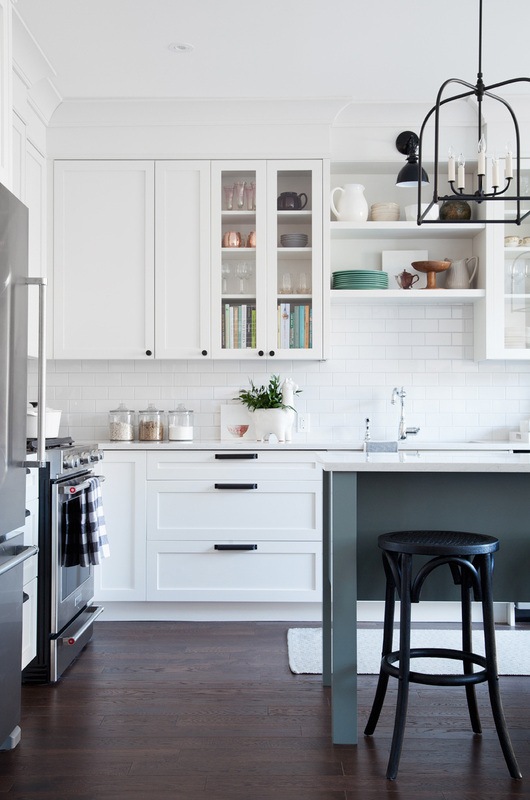 One trick for making your kitchen feel larger that requires zero additional square footage — break up your upper cabinets with open shelving! Not only does it give you a fun place for styling, but it also gives your eye a visual break and makes it uppers feel less heavy. If you don't have a window above your sink, open shelving is a great opportunity to make the space feel open. 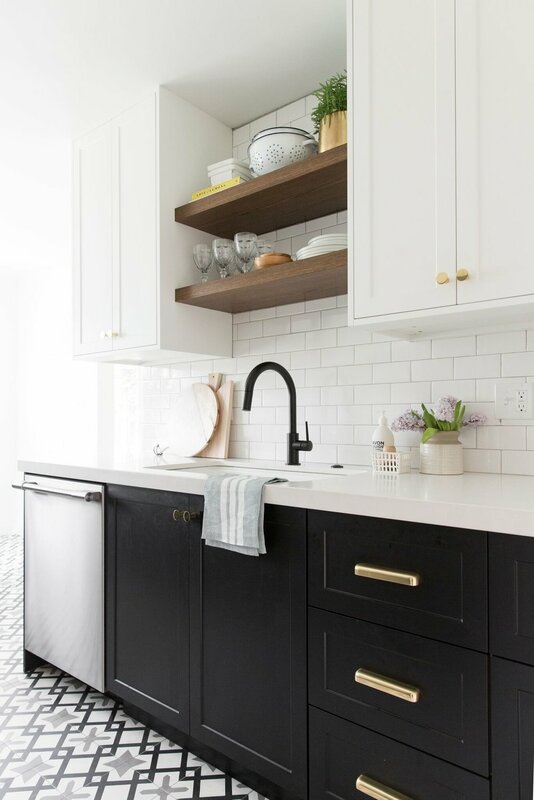 In our Hillside Kitchen Remodel, the floating wood shelves added an organic, warmth while bringing the tile to the ceiling made the kitchen feel taller and airy. If we don't want to block or obscure the light of a window, but we still want storage and to fill a space, we'll use open shelving. In the Emerson Project kitchen, we knew we didn't want to add another upper cabinet. It would have blocked the beautiful view of the large window above the sink. We broke up the upper cabinets with a corner of open shelving in the Evergreen Kitchen Remodel. It was a great way to utilize the corner space and it allowed us to center the hood and surrounding cabinets above the range. Styling an open shelving unit can be a challenge. But whether you want to take a minimalist route or a maximalist route, they're sure fun to style. Take this opportunity to show off your favorite kitchen accessories!